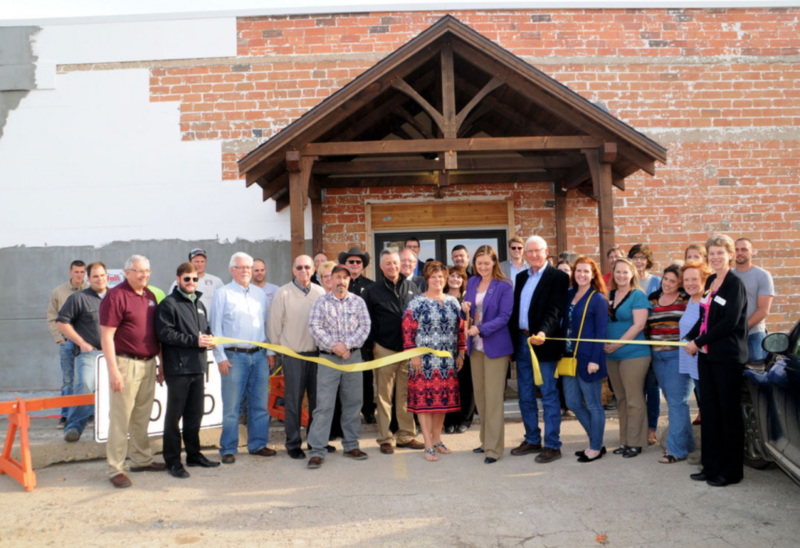 Belle Fourche Development Corporation director Hollie Stalder make the cut on a Belle Fourche Chamber of Commerce ribbon to officially open the new Fifth & Grant Plaza that includes the BFDC and NeighborWorks offices, a conference and seminar room, and rental office and retail spaces. At the mixer before the ribbon cutting, Jack Wells told the history of the building that had long been a car dealership, and during the prohibition, even a distribution center for illegal alcohol. It was also once home to Wells Plumbing, which later moved and is currently out of the business district on Fifth Avenue. Stalder said finish work is still continuing on the building, but that the ribbon cutting offered a last look at the longtime brick exterior before it is covered with a more energy-efficient exterior. 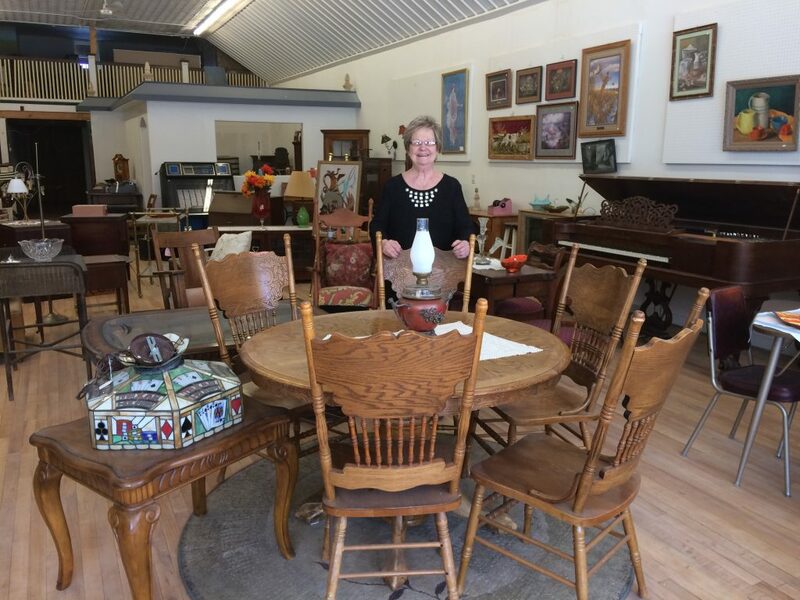 Owner of Love That Shoppe, Betty Wolf first ran an antique store in Dickinson, ND, prior to moving to Belle Fourche in 1989. 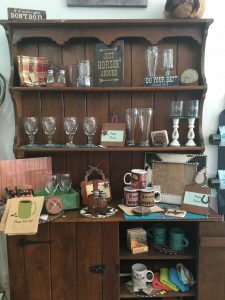 After moving here, Betty said that in 1992 she saw there were only two antique dealers in town, figured there was room for one more and opened the doors to Love That Shoppe. 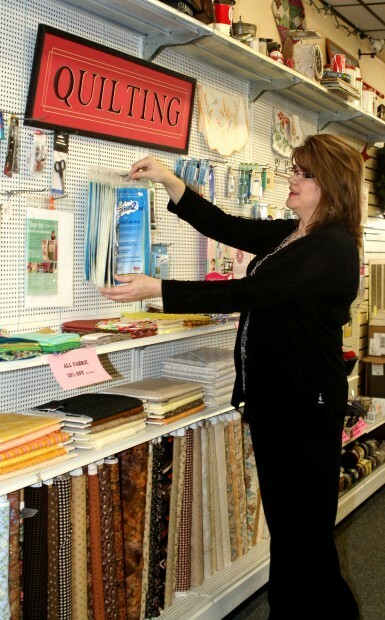 Open six days a week, Love That Shoppe offers buy – sell & trade, and boasts a large collection of rare & specialty items. Everything from retired Swarovski crystal animals to collectable comics. Love That Shoppe recently expanded into the store next door, which Betty is keeping mostly for furniture, and hopes to add new items to the store daily. Love That Shoppe has claim to fame for being the largest independently owned antique shop in South Dakota. Spring has sprung here in Belle Fourche. It is wonderful to see the green grass again, and fresh lambs and calves in the fields. Spring activity is taking place all over the county. The Chamber ended the first quarter welcoming twenty new members and receiving seventy one renewals, for a total membership of two hundred thirty. We are grateful to all our members for their support! Thanks to additional radio sponsors, the Chamber radio report on the Country Twins (KBFS 1450 am & KYDT FM at 103.1) can now be heard not only on Tuesday 8:50 a.m. but also Thursday 8:50 a.m. If community members have special events, please let the Chamber office know and we will be glad to announce them. We also want to remind everyone that our W2BF (Welcome to Belle Fourche) website has been updated for the summer months. You can visit it at: www.w2bf.com. As spring progresses and summer arrives, Belle Fourche will be welcoming more visitors and this is a handy tool for them. W2BF cards with a QR code are available at the Chamber. Come by the Chamber office and pick up some cards for your summer visitors. Our April Chamber luncheon is Wednesday the 12th, 12pm at the Branding Iron. David Ollila, Sheep Field Specialist with SDSU, will be our featured speaker as part of the Chamber’s 2017 campaign ‘We Produce – Lamb’. This luncheon is in conjunction with SDSU’s field promotion taking place that day in Butte County and participants in the field day will be joining us for lunch. In March the Chamber received a $750.00 grant from the American Lamb Board for our promotion of lamb in our area. This luncheon featured lamb kabobs and was held at the Branding Iron meeting room. 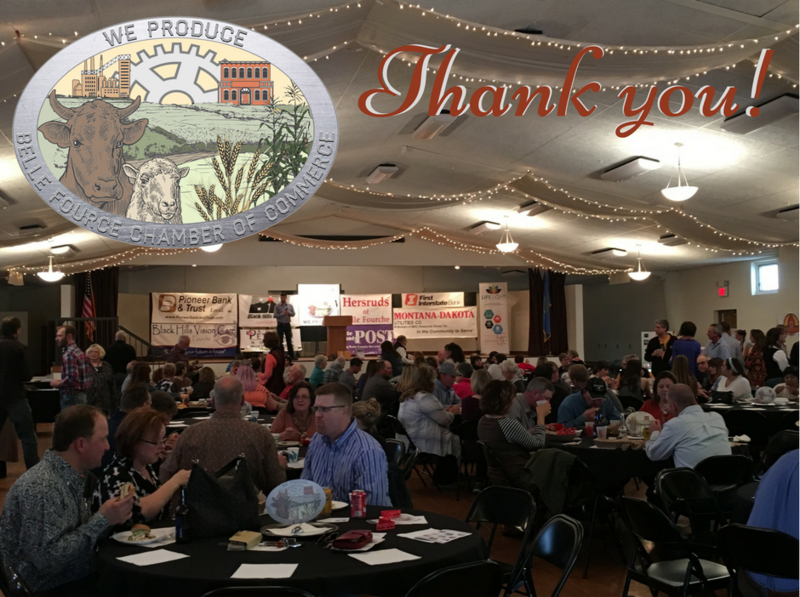 Thank you to all who came to the Chamber Annual Meeting & Extravaganza Saturday, March 18th! What a fantastic night of food, friends, and fun! 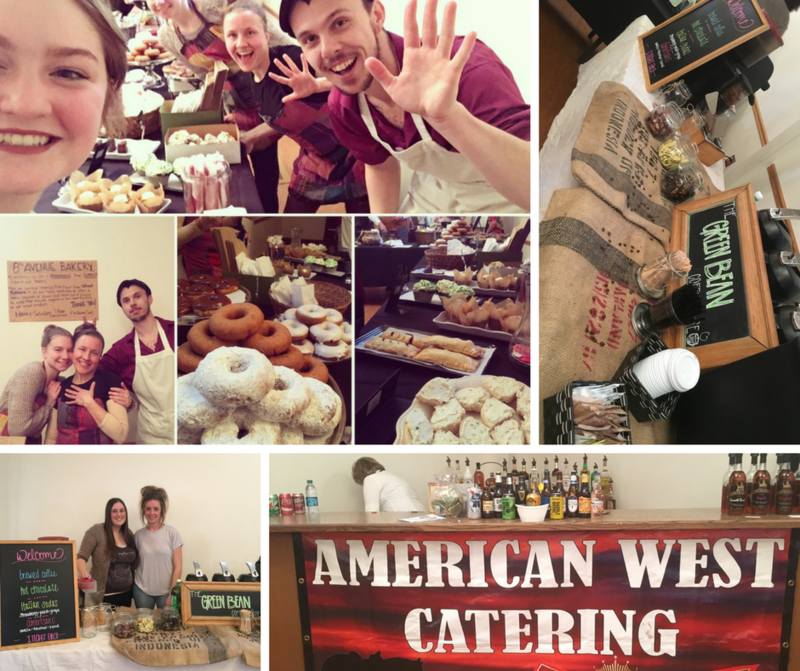 We ended up with no less than nine Member food businesses participate, serving up hearty samples of their best, and over 25 silent auction items and 15 door prizes! The Chamber also recognized Kay Cooper, Mark Reese, and Cass Heimbaugh with the ‘Extra Mile Award’, thanking them for going above and beyond for the Chamber in 2016-17. Larry Prager of Center of the Nation Wool Warehouse spoke at our Chamber Luncheon on Wednesday, March 8. 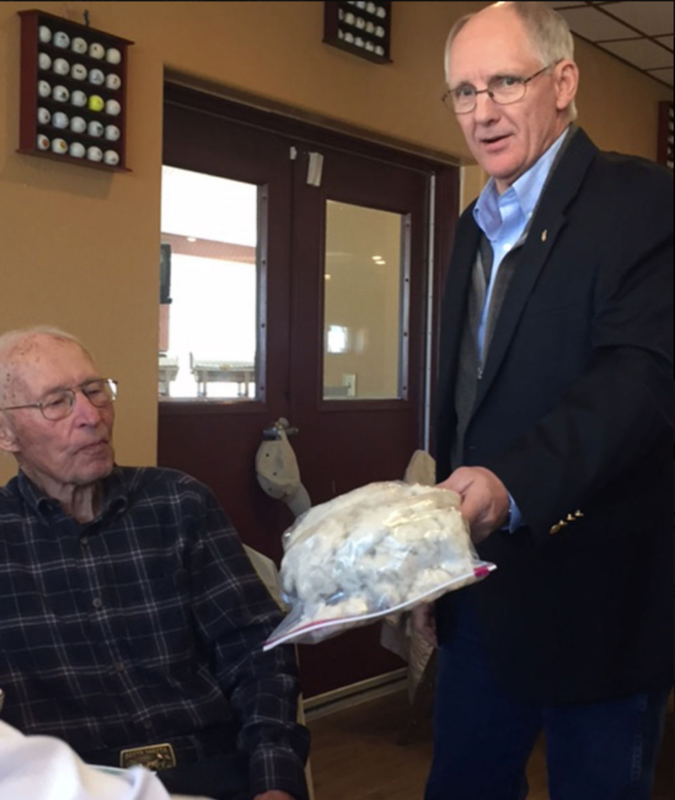 Luncheon goers learned many interesting facts about wool production and processing in the Belle Fourche area. Belle Fourche wool is consistently ranked highest in quality, competing with wools from across the globe. Two major factors in producing top quality wool are genetics and environment. Because sheep have been raised in this area for generations, ranchers have selected for the best quality genetics for this area. The range environment and heavy clay in the soil is good for wool production. Wool fiber is rated in microns. Finer wool fiber is higher in value. 30 microns is a rough fibre, while most Belle Fourche wool comes in at 22-20 microns in diameter and so is much softer and preferred for its strength and softness. • Center of the Nation Wool is the largest wool warehouse in country, and serves South Dakota, Wyoming, North Dakota, Montana, Nebraska, Idaho, Colorado, Utah, and has even received a small shipment from Hawaii. 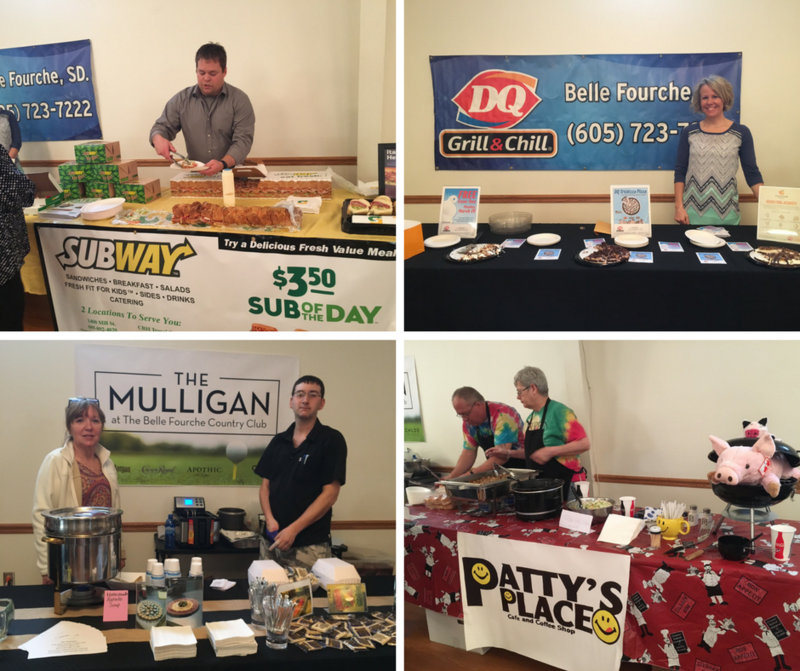 As the Chamber prepares to launch the 2017 campaign, ‘We Produce’, future Chamber Luncheons and events will have more speakers along the lines of Pager who are producers in agriculture, manufacturing, and business in Belle Fourche. Winterfest officially wrapped up after the Belle Fourche Rush Night hockey game in Rapid City. Those who bought tickets from us were seated in a section reserved for Belle Fourche fans, and treated to a meet & greet with players after the game, and drawings for an autographed jersey and hockey stick! 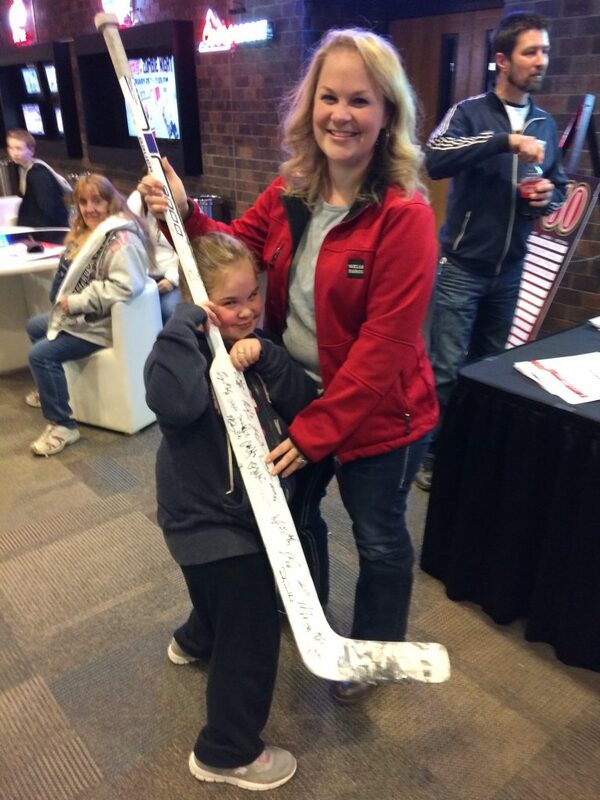 Kelly S. won the hockey stick and Pam B. won the jersey. 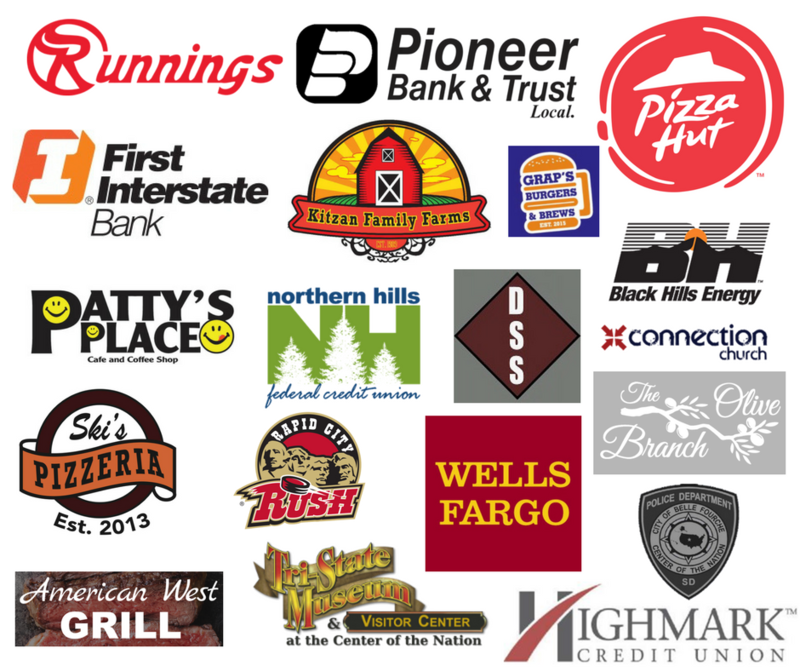 We want to thank all the businesses and sponsors of Winterfest 2017 for making it a success! 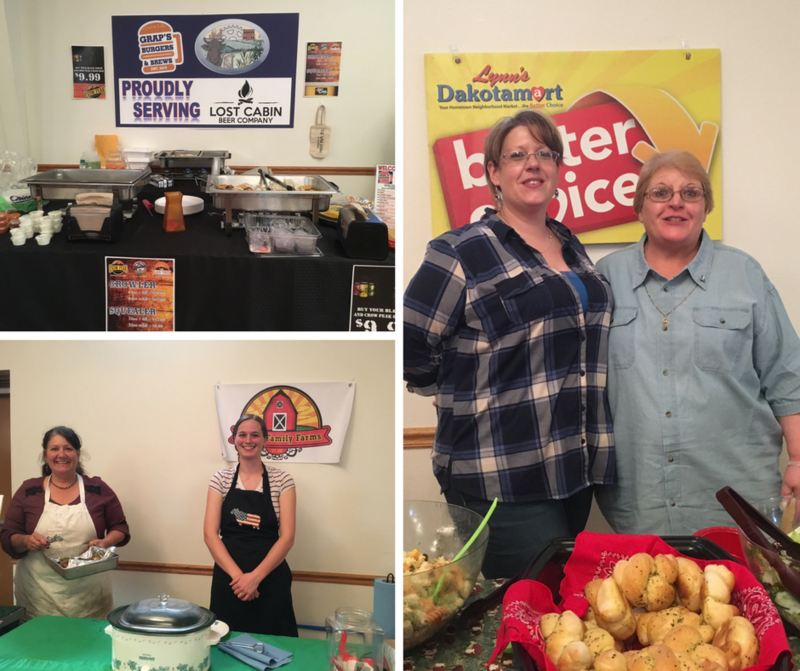 It was great to have such a number of enthusiastic people and businesses come together and create and sponsor fun and beneficial activities in Belle Fourche. From Ladies’ Night Out, to Belle Fourche Rush Night, our first Winterfest is one for the books! 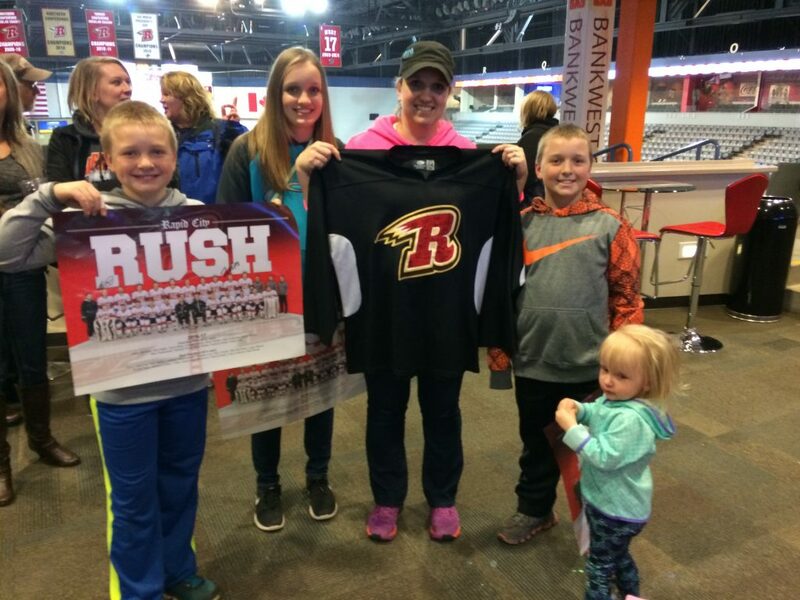 The Rush came to town to meet & greet fans Saturday, Feb. 18. 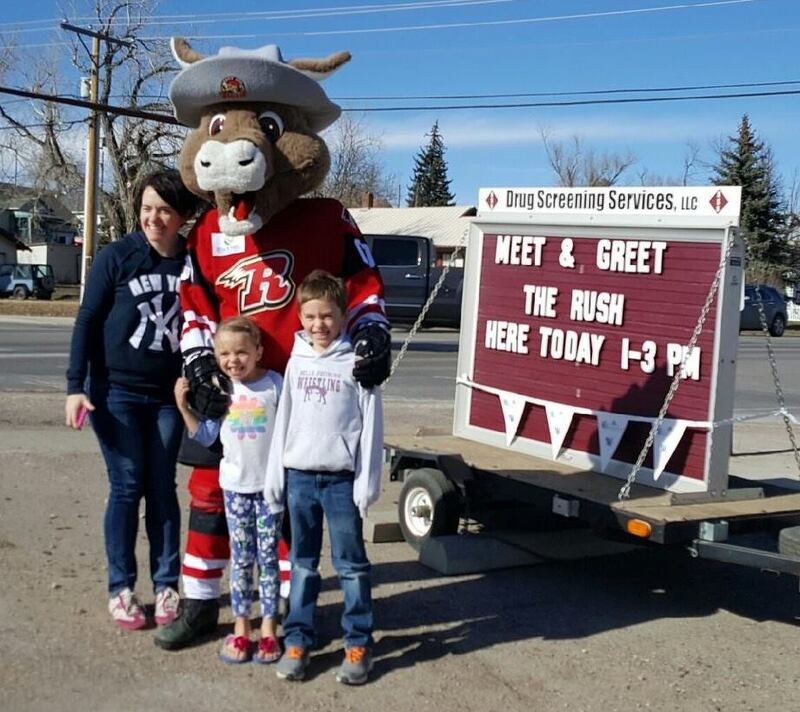 Drug Screening Services hosted the event for Rush fans as part of Winterfest! 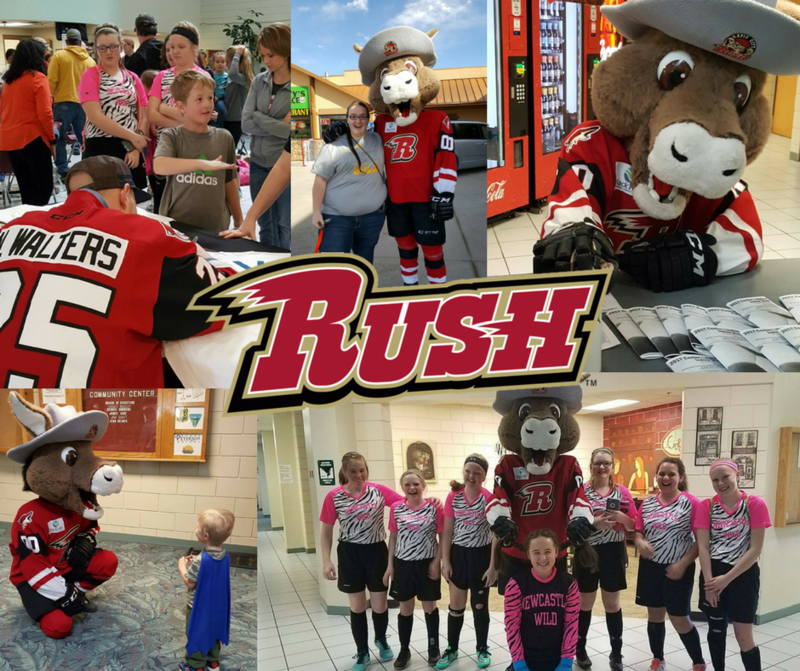 Kids and fans got to meet Rush mascot Nugget and defensman hockey player Nick Walters and have their Rush posters autographed. Nugget and the Rush members then made an appearance at the Belle Fourche indoor soccer tournament going on at the Belle Fourche Area Community Center.